Prototype: Two-axle beer refrigerator car with a high-mounted brakeman's platform. 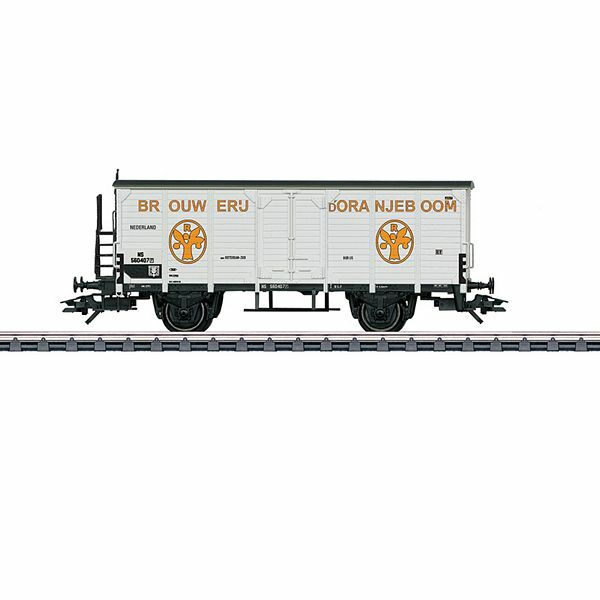 Privately owned car painted and lettered for "Brouwerij D'Oranjeboom", used on the Dutch State Railways (NS). The car looks as it did in Era III. Model: The car has a horizontal board structure. It also has fixed refrigerator area doors. The car has a high-mounted brakeman's platform. Length over the buffers 10.6 cm / 4-3/16". DC wheel set E700270.